We love anything with bananas and banana pudding is our favorite. I almost hate to make this because I can make myself sick on it. A great way to use up bananas, too! Banana pudding like your grandma used to make. In a medium bowl, slice bananas and sprinkle with lemon juice to keep them from turning black. In a 2 quart casserole dish layer the vanilla wafers and bananas. (I use 10 of the wafers to go around the side of the bowl just because I think it is pretty this way). In a saucepan on top of the stove with a whisk mix together the sugar, salt, flour, egg yolks, regular and evaporated milk. Cook on medium heat, stirring continuously with whisk, about 7 or 8 minutes until thickens. (It will burn very easily so be sure to stir) Remove from stove and stir in vanilla flavoring. Pour over wafers and bananas. Beat egg whites on high until stiff and peaks form. Add sugar and vanilla and beat into egg whites. Spread over pudding and bake in 350 degree oven until browned. (I have just put it under the broiler until it browns that way, too). Enjoy! This Old Fashioned Banana Pudding is a classic! Don’t Forget to Pin this banana pudding recipe! Feel free to “share” by clicking on the Facebook, Pinterest or Twitter buttons below. You can print by clicking the green printer icon below. Wow! This photo brought me right back to my Mom’s kitchen years ago – this is the Pyrex type dish she made her beautiful Banana Pudding in – always with meringue (whipped cream is just not the correct Southern way). Love this! Linda Roberts – Sorry this happened to you. I found out the hard way years ago with a corning ware casserole – out of the refrigerator and put in the preheated oven….what a mess! Also I busted the top of one when I took it off the hot casserole and placed it in my sink – not knowing there was some water in the sink – crack!!! When growing up we were about 20 miles from a grocery store. Mom usually had canned pineapple on hand and used it drained well instead of the bananas. It was delicious too. Can I use half whole milk and half sweet condensed instead of evaporated milk? I have never made it with sweet condensed milk. So I can’t advise you that this would work Shayla. Hi Laurie, I sometimes use cream of tartar and sometimes I don’t. It is mostly used to stabilize the meringue and it does make meringue whiter and a little fluffier. It is not necessary to use it. If I have it on hand I will use it but it is not a spice that is used often in other recipes. I can’t imagine what happened unless something was wrong with the egg whites or you didn’t beat them long enough. Sorry, Melinda. This is what my mom made in Iowa so I made same recipe for my family. My husband can’t stans the pudding made with instant pudding. I have some bananas ready and will bake it tonight. So I wait till pudding sets before I top with meringue…is that correct? Yes, Susan, that is correct. I am not sure to if ı find or not evaporated milk. Could ı change it any other thing? So I attempted this a second time, today, and it came out perfect!!! The neighbors are going to love it!!! So happy to hear that Malissa. Thank you for letting me know and happy it worked for you. ok one more question……I made it and my pudding didn’t set up and turned out very soupy. It was in the fridge for at least 5 hours. Any suggestions or thoughts on what I did wrong or what I can do different the next time????? You evidently did not cook it long enough or high enough to thicken it enough to set up,Malissa. I’m about to start making this for my honey for desert for his father’s day dinner and I’m wondering does the pudding need to set up in the fridge first prior to doing the Meringue and baking it to brown?? Or do I do the meringue immediately after pouring the pudding on top of the bananas and wafers??? The pudding should set up very soon after removed from the stove even without putting it in the fridge. I put the meringue as soon as it is set. Will the meringue be ok in the refrigerator over night after its browned? I keep this in the fridge for several days once it is made with the merinque. Would it be ok if I made this the night before let it refrigerate and set & just make the topping the morning of??? Yes, I think that would work Marie. I made banana pudding, I usually always put topping on as soon as it is made, I had to leave so I covered it and put in fridge, next morning made meringue, put it on the pudding, placed it a preheated stove and in about 5 minutes I heard a noise and opened my oven my Pyrex dish that I always used had cracked and fell apart in the oven. (What a mess) I called the 8oo number, they said never put a cold dish in a hot oven. Again long post, just wanted to say what happen. I love this recipe, have made it several times… My kids favorite dessert! I just took it out of the oven. I did have to google it to find out how long it needed to be in the oven for the meringue to brown. I went 10 mins. I can’t wait to try it. Is this best served warm or cold? It is served cold most of the time unless you serve it warm when you first make it. Since I’m lactose intolerant, will substituting almond milk for the regular milk change the taste? I don’t know Jean. I have never made it using almond milk. Thank you so much for this recipe. My mom was from Tennessee but we grew up in California. She used to make it for us as children. She passed away when I was 16 so we never got her recipe. I am so excited to try this. I love your site, thank you so much !!!!!! The recipe is in our new cookbook, Debbie. You should check it out. It has lots of old time recipes. Do I refrigerate it? It came out of the stove in liquid form..
You don’t cook it in the stove. You cook the pudding on top of the stove. You only brown the meringue in the oven. This pudding should definitely be refrigerated. Thank you for bringing back memories. The pudding turned out great! Could I double the recipe? I would like to make it for the holidays but I’m from a large family. Thank you Carfolyn! Happy you enjoyed this recipe. Yes, I think you could double this recipe. Can the Banana Pudding Base be cooked in the microwave instead of on top of the stove? I have never tried making it in the microwave, Lynn, so I can’t advise you. Sorry. I make mine in the microwave and it is so much easier because it will not scorch as fast. Just be sure to stir about every 5 minutes or so. Yes, it is just to brown the topping, Tim. You don’t have to bake the pudding. This may not be the best place to make this comment, but I have read all 92 comments and not a one mentions using this custard for making Homemade Ice Cream. My mother always used this recipe from scratch for her delicious banana pudding and this same recipe for the cooked custard for her homemade ice cream. Of course, basically it is vanilla custard for vanilla ice cream, but you can add any flavoring you wish. My favorite is homemade peach when peaches are in season. Try it, you will love it!! This is very similar to what my mother used to make. I never knew exactly how she did it, but I loved to eat it while it was still warm. Thank you for sharing this. I can’t wait to try it! I never had this before,but now I have a very good chance of trying it. It looks & sounds so good. Is it meant to be eaten warm or do you chill it prior to eating? This sounds great! It is great warm but it is also good cold. You can do it either way. Regina, my mom is 86 and no longer able to cook. Mix dry ingredients together; mix egg yolks and milk. Combine all in sauce pan. Over medium heat, cook (stirring constantly) until thick. Stir in 2Tbsp. Butter and 2 tsp. vanilla flavoring. Pour into baked pie crust. Cover hot pudding with meringue and brown in oven. My mother made banana pudding often this way, and I used too. The filling is so delicious when made from scratch. I rarely make it now, but think I will get back to it!! Someone mentioned using pudding which is what you get most of the time at restaurants and pot luck dinners. But believe me, pudding doesn’t even come close to being as good as the filling cooked from scratch. Why cant you just use instant banana pudding mix, or vanilla pudding mix instead? Would you have a receipe if i wanted to try the pudding mixes instead? Please let me know thanks! No, Barbara, I don’t. We like the real thing. I would say that it’s better, like most things, when made from scratch… No artificial color or flavor as in instant puddings! You’re kidding right? Why even come to this site? I am definitely going to make this pudding tomorrow! I was wondering if you might have any suggestions for using the yolks of all these eggs. You put the yolks in the pudding, Dawn. You use the whites for the meringue. going to Homecoming needed this! Luv it! I also do mine a little diffrent I do not use flour I use 2 to 3 tablespoons of corn starch in the filling to make mine be or get it to thicken thats how my mom taught me and have never had a problem doing it that way but thats my way. Me too…good ole cornstarch pudding…creamier …makes great filling for cream puffs, too , without bananas! I also make mine from scratch and I love chocolate so I melted chocolate chips and added to the filling before pouring over banana’s and waffers and loved it but my family prefers it the orginal way. I’m a KY girl who grew up with Mom’s banana pudding. I made your recipe today & it is the same as her’s. My 8 yo grandson & his dad love banana pudding. So, I made your recipe today & everyone, including my northern born hubby, loved it. Recently, I discovered your website & enjoy your postings. I add pineapple tidbits to mine. It adds a little extra deliciousness to it!! My Mom used that same bowl to make banana pudding and Mac and Cheese – Brought a few memories to mind wishing I could sit at her table once again. This looks yummy!! Forgive me for this silly question…… I’ve never eaten this before. Do you eat this warm or cold? I would like to make this for school breakfast. You can eat it warm as soon as you make it or cold after it has been refrigerated. I like it both ways. This looks like my Oklahoma grandma’s recipe. I have to make it in a round bowl too, because that’s what she used. So glad to see a real banana puddin recipe. I grew up eatin this and my Momma made the best ever! When we moved to Virginia, I was at a work function and everyone was raving over someones banana pudding so I went to get me a serving and it was jello pudding with nilla wafers. I looked twice and wondered what all the fuss was about as that was not “real” banana puddin. I have tried to recreate my Moms puddin recipe and she can tell me whats in it, but not how much. She is a just till it looks right, type of cook. I finally found a recipe that is as close to hers as I can get. This is the BEST recipe for banana pudding that there is! The way I have always made it, just like my Mama did. It is actually very similar to the one on Nabisco’s box of vanilla wafers. Pure joy and deliciously comforting to eat. My favorite dessert of all. I do not have any evaporated milk on hand, can I still use regular milk as a substitute? This recipe is most like my mom’s recipe except we make it in a 9×13 pan and used a double boiler for making the pudding. I like the idea of the lemon juice for keeping the bananas from turning brown. We really enjoy a good pan of banana pudding in our home, grandkids and all. You can use Splenda in the creme pudding (same as recipe ) but doesn’t make merengue well.. I loved banana pudding as a kid (and still do) but I hated soggy vanilla wafers. Many, many years ago, when I was young my Mom would make this and leave part of one end with no wafers for me. No one else minded soggy wafters. YES MA’AM…..this is the real McCoy! This looks so comforting and delicious! What a lovely dessert! Have eaten one with crushed pineapple instead of banana. What liquid adjustment needed for this conversion? Love your recipes. My mother would make tapioca pudding with pineapple and meringue. One of my favorites along with her banana pudding made like the recipe posted here for banana pudding. Like Vanilla instead of Banana flavoring. I like the natural taste of the banana. Drain the pineapple. I put a can of pineapple in a strainer and get as much juice out of it as possible. I don’t make any other adjustments. 25 weeks pregnant and craving this. I just got back from the store and I am going to start working on it soon. 😀 So excited to get my craving fulfilled. Thank you so much! I’ve been looking for this recipe for years! My mother made it this way and granny too! I’ve NOT been able to make this sense 2002! I’ve had my recipes stupidly in storage! Thank you so much Billy for all your comments. I am so happy I had this pudding recipe for you. I sent you a private message on your Facebook page thanking you for your kind comments today. I appreciate you. My mom used to make something very similar to this and boy is it yummy! oh this looks so comforting! yjis looks very good and we do love bananas. Have a nice Thanksgiving. Hi Judy! I grew up in Maryland and my mom who’s from Tennessee always made this. Well, no one else I knew served this dessert so I always thought it was her specialty. When Greg and I moved to Arkansas and were looking for a place to live we stopped at a chain restaurant called The Dixie Cafe for a quick bite. They had this on the menu and I got so excited telling Greg it was just like my mom’s. Then when we moved here, I realized it was quite popular and had to laugh at myself. My only complaint is that Greg dislikes bananas except in banana bread. I can’t make it and it’s one of my favorites. Yours is beautiful. Thanks for this post! Katherine, You will have to make it just for you and eat it all yourself. Don’t let Greg have any even if he begs for just a bite. I don’t know how anyone could not like this pudding. Guess you could make two bowls and just put the pudding and the wafers in his bowl and you get the bananas in yours. That boy doesn’t know what is good! FINALLY a recipe for this the way my mama did it! I lost her recipe during moving her things and have searched for the recipe the most like hers! Thanks…and Katherine..you can exchange the bananas for other fruits. I never have done it, but I’ve had it at places. Pineapple is good fixed like this! Doesn’t sound like it I know..but it is! My husband loves it with any fruit. Strawberries are his all time fave though. This is the “Real Thing”!! Can’t stand the fake with box pudding mix and cool whip topping. Do you think maybe I am still living in another generation because I love food that is prepared with love rather than pull out a box and whip up a meal? Loved your recipe…just like mine (must be the KY in us). Margaret, This is the way my mother always made banana pudding. I agree with you I love good food that doesn’t come from a box. Have a great weekend. Living in another generation is the best.I use boxes often but sure prefer homemade anytime.And we know whats in it went we make them.no preservative. 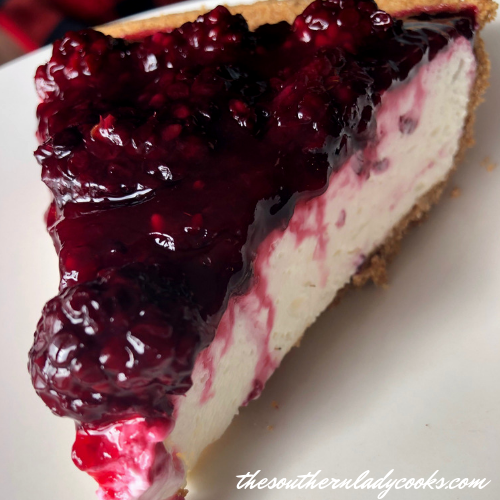 This is my dad’s all-time favorite dessert… I’m adding your version to my ‘to make’ list ~ sounds so good, and thanks as always for the hints and tips!